Installment contracts are normally short-term agreements, with most contracts in effect for only three, five or seven years. In effect, the installment contract is a balloon program. At the conclusion of the balloon term, the buyer must still satisfy a large principal balance. The typical installment contract will require that the buyer obtain a refinance loan within the effective term of the contract. If the buyer fails to obtain a refinance mortgage within the prescribed period, the seller can immediately terminate the contract, evict the prospective buyer and keep any funds paid to date by the buyer. 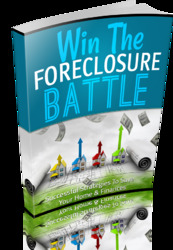 Note that a foreclosure is not required because the property never left the seller's possession. The installment contract just provided the buyer with an opportunity to purchase the title to the property, as long as the contract conditions are met. To remove a failed installment buyer, the seller would have to initiate legal eviction procedures.